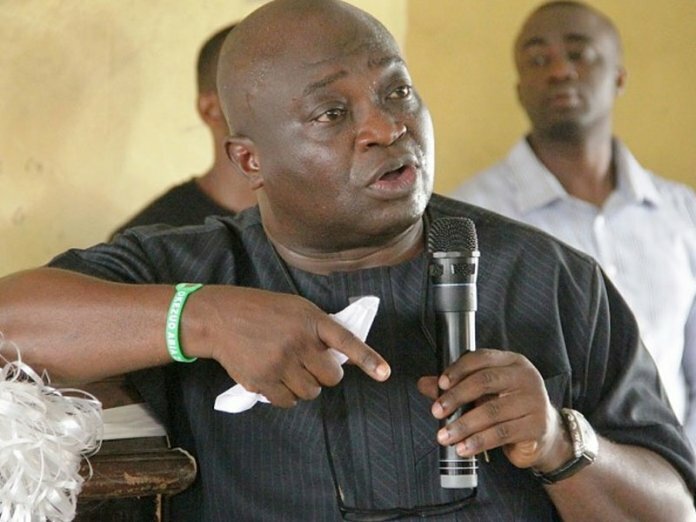 Abia State Governor, Dr Okezie Ikpeazu, has described civil servants in the state as the strength and pillar of success of his administration. Governor Ikpeazu made this declaration during an interactive meeting with the Abia work force in Umuahia ahead of Saturday’s governorship election. The Governor who was visibly overwhelmed by the large turn out and show of support from the workers, thanked them immensely for their support to his administration despite past challenges. Governor Ikpeazu also expressed his desire to ensure regular training and retraining of workers in the state, saying, “It is my wish and hope that our government will now go beyond payment of salaries, which should be taken for granted, and work towards capacity-building for Abia work force. “From now, what we should be talking about is re-tooling our work force ICT-wise, getting them to become more efficient, then calibrating whatever they are doing against their output and giving them responsibilities that can enable them express themselves. “Going forward, in the second term of this administration, we should be able to think beyond salaries, plan for your development and build up your capacity. This has become necessary because the human brain is the biggest computer ever, and the only way to sustain the functionality of the computer is to use it for the right purposes. Also speaking at the session, Head of Service, Sir Onyi Wammah, while addressing the civil servants, assured them of a new era in the state civil service under Governor Ikpeazu. Wammah described the state civil servants as honest, ready to work, and will work with the governor to assure his administration’s objectives are achieved before, during and after the elections.